Look like putting your printer to print better quality, is slower but have the best results in quality. With the kind of optimum print quality we will get better from any printer unlike the fast draft, which we have explained earlier. Sometimes it is necessary to print with best quality either because we want to print some photos or because our printer ink is running low, among other factors. So we've developed the following publication explaining how we can configure printers for better quality either on a specific page or permanent settings for optimal quality always. The next procedure we can use both to make only one impression as a continuous one, it means to leave the settings as stated above. Whether for a single impression or we can go to printer manager and configure settings as presenting below. 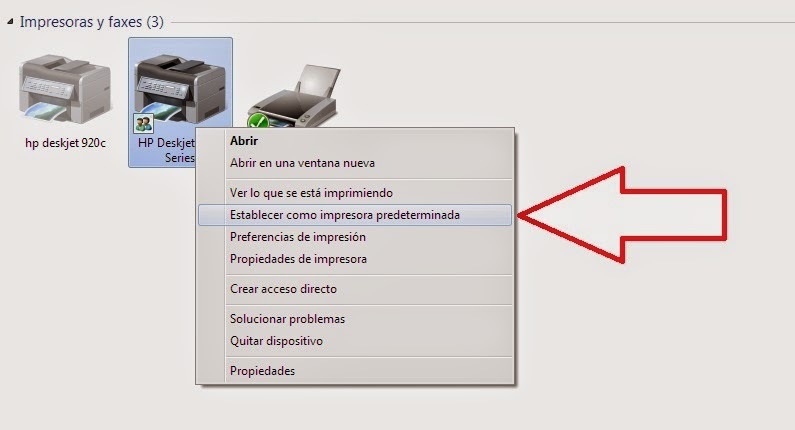 For this, we must necessarily go to the printer configuration through to Start- Devices printers - name the printer, we do right-click on the printer and printer properties usually this is the fourth option from the top down. The tab we are looking is at the top part of the window that opens, usually the name that this has is "Primary" or "Page Setup" normally this tab is second from left. When we are in the selected cell we have to go down the window and select the button "Apply" and then click "OK" the settings are saved immediately. It is important to know that the pages will come off more slowly and that this increases ink consumption by approximately 20%. If you have this setting only occasionally or just set some pages you want to print with optimal quality, we follow the same procedure except that we will do when that dialogue operating system to print appears, in this we have to click on "Preferences" and the window we saw with the direct method appears. Thus we only have the optimum quality for the document we are printing at the moment. We recommend using this type of printing photos and documents containing strong images, it is necessary if you want to get the quality you see on the screen of your computer.